I think as you start to truly enjoy the taste of food you tend to want more flavor, you want and think everyone should flavor all that they cook with at the very least salt and pepper. I have found my one true food obsession and it is with garlic. There are very few dinner items that I make that do not involve garlic in some form or another. I love chopping it, pressing it, smashing it and leaving it whole. Roasted garlic is just awe inspiring to me and so useful in many ways. So much so that a few years ago I planted 40 cloves, they were not huge bulbs come harvest time but they were oh so tasty and we had enough for many months. Towards the end they were drying out a little, so the next year I decided to peel each clove and freeze them; two and half hours of my life UGH! While this worked nicely they lasted close to a year, the only down side was they were only good for pressing. The flavor never really left them so that worked in my book. I decided the 3rd year I would plant 80 cloves and leave some whole, freeze the rest. I thought I had a great plan unfortunately due to the crazy New England winters I lost them all. Utter devastation in my house over the loss of garlic. This year I planted 80 cloves again alas only 40 survived. I will figure this out someday! Thankfully Garlic is readily available so I can and do always buy it from the market. A friend mentioned she was reading my last post and makes garlic mashed potatoes she never thought of flavoring the water at the beginning with garlic, she said she was totally going to try it that way, I hope she likes it. A shocking thing to me is I have come across a few recipes that do not have garlic in them, not sure why that is, maybe the person making the dish is not obsessed with garlic as we are. Maybe they do not think it is necessary, maybe they are allergic, is that even possible??? But being me I just have to deviate and add at least SOME garlic to almost everything. I do find that when a recipe asks for 2-4 cloves I tend to add 4-8. I don’t think that is a bad thing, my son jokes that we are immune to garlic which is why I have to add more. I am totally OK with that! My daughter just reminded me of our running joke that no vampires will be coming to our house anytime soon! 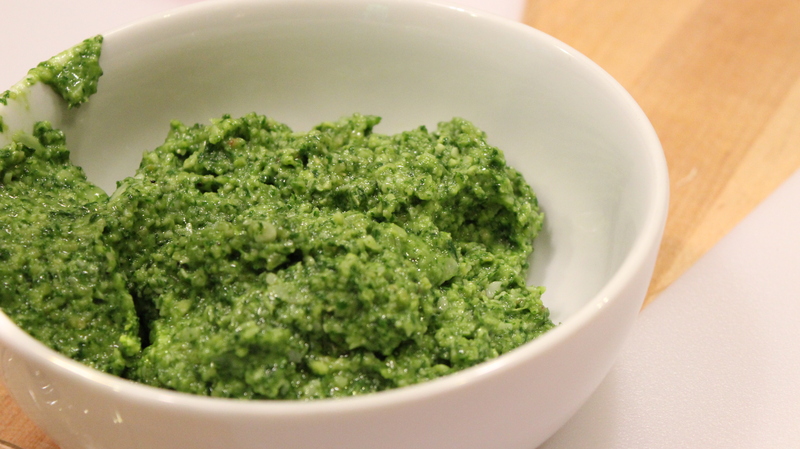 Basil Pesto – SO YUMMY! 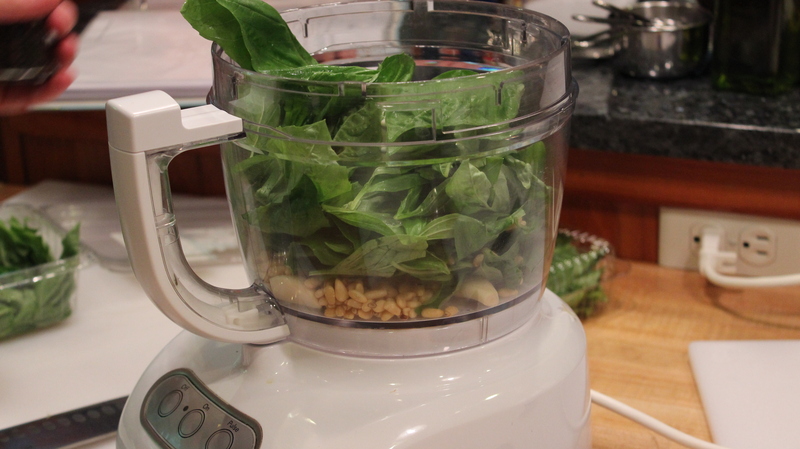 Combine first 3 ingredients in a food processor or blender, pulse to combine. Add olive oil until you get the consistency you like, finish by adding the parmesan cheese a little salt and pepper pulsing until combined. Enjoy with and/or on just about anything! 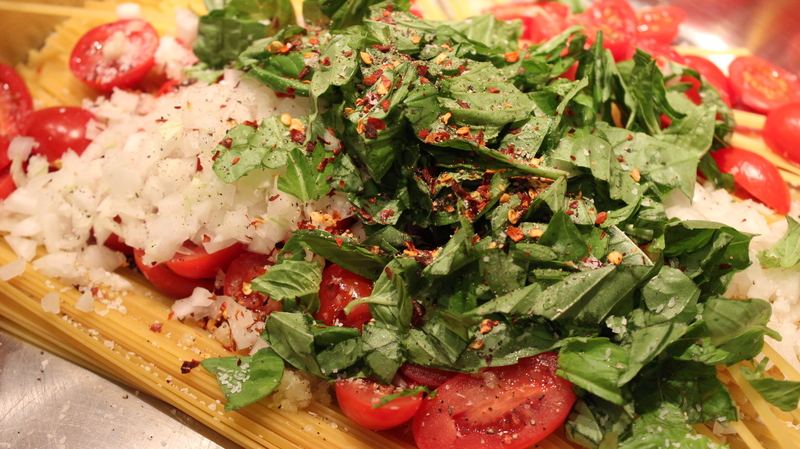 One–Pan Pasta – Great for week night meal; we have also made this on the grill’s side burner! 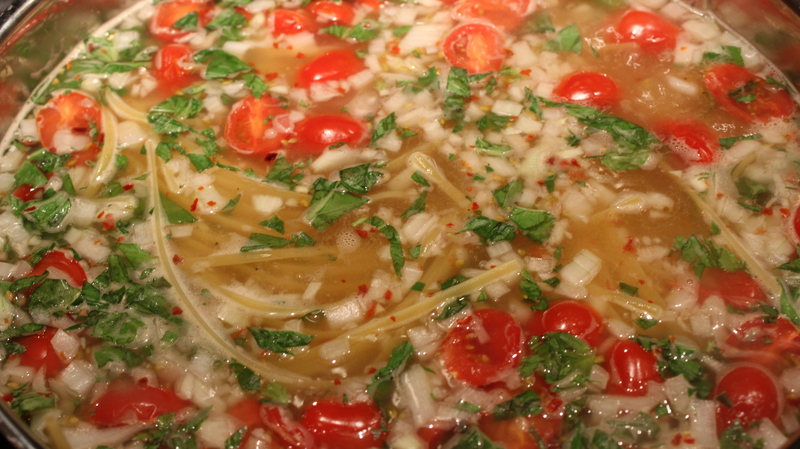 Bring to a boil over high heat, boil mixture, stirring and turning pasta frequently with tongs, until pasta is al dente and broth has nearly evaporated. About 9 minutes. Season to taste with salt and pepper. Divide among 4 bowls and garnish with basil. Serve with Parmesan cheese. Yummmmm!!!!! I am absolutely going to try these recipes. Thank you so much for sharing them. I love reading your blog!!! Our family loves garlic too! We make our mashed potatoes with nearly an entire bulb of garlic. We throw the whole cloves right into the water with the raw potatoes, let them boil together and then mash them together. BEST mashed potatoes ever. If you haven’t had garlic in your mashed potatoes, I agree – you’re missing out on something pretty yummy!